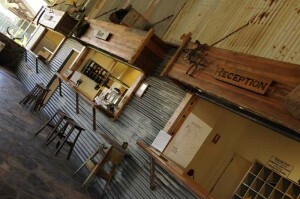 The Dusty Bar & Grill is an iconic part of Home Valley Station, serving quality Australian cuisine against a backdrop of authentic station memorabilia. The epicentre for night time entertainment, it is here guests can mingle with the station’s friendly staff and other travellers. The bar is the perfect place to enjoy a long cool drink before selecting from the hearty à la carte menu. Home Valley Station’s executive chef selects the finest and freshest in local produce to provide guests with a truly unique Australian dining experience. Meals are complemented by a wide selection of quality Australian wines. Dinner is an upbeat experience, enhanced by live music performed by award-winning local entertainers strumming out country classics. Following dinner guests are invited to settle in for the evening around the nearby campfire for further entertainment, storytelling and star gazing.